We always dream to give best education to our child but do we really think about growing cost of child education? We want a child to become doctor or engineer but do we really plan for this? As per me saving for child education is the most important goal for parents. Other goals like buying car or buying home can be compromised, but we cannot compromise our child education. When it comes to child education planning majority of people rely on child education plan which ends up paying them peanut type returns. 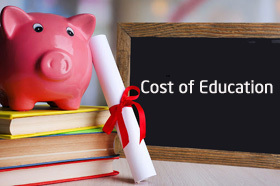 In this post, I will be highlighting details of growing child education cost and will be giving education planning calculator. School fees, tuition fees and other associated expenses have gone up by 150% in last 10 years. 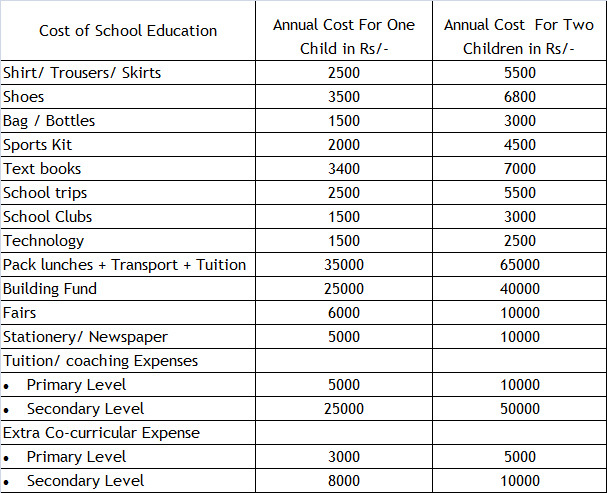 Education expenses for a single child including tuition fee is grown to 1.25 lakh in 2015, from 55,000 in 2005. 9 out of 10 parents responded that rising cost has affected even their choice of school. 70% of parents spend 30-40% of take home salary on their child education. School cost is growing at more than double the rate of inflation. Apart from fees another cost is also growing like a cost of uniforms, books, transport, sports activity, school aids etc. 80% of respondents say that they are worried about growing cost of education. If you are worrying about the rise in school education expense, there is one more time bomb ticking away i.e Cost of higher education. The cost of higher education is growing even faster than this. Average fees of Engineering course is roughly Rs 8 Lakh today, five years down the line it would be close to double meaning Rs 16 Lakh. In 10 years’ time, it’s likely to cost around Rs 25 Lakh. The cost of MBA course has grown even faster. The current cost of MBA is approximate 20 Lakh and expected to be 60 Lakh after 10 years. The cost of education is growing exponentially and has no end. We are planning for retirement but looking at details above we must plan for child education. One thing is sure that you have to save & invest enough money for your child education. Follow steps are given below to plan your child education. The first step is to find out target year for education expense. It is very easy to find out this if your child age is 1 year then he will enter in graduation year after 18 years. If he is likely to do MBA after graduation you need to consider target age 21-22 year for MBA. The second step is to find current education cost. Arriving at current education cost is somehow difficult. First you need to decide that which educational institute you are planning for your child. You have various options like Regional Engineering colleges, IIT etc for engineering. You need to find out current education cost applicable to that course in the specific institute. The third step is to find future education cost. Inflation rate comes in to picture at this stage. You can find future education cost by using simple excel formula of FV. In order to find out monthly investment amount required you can use simple excel formula PMT. PMT formula calculates constant payment on constant interest rates. Once you are done with all above step you need to find out investment option which can generate a return as per your expectation. You can select good mutual funds which can generate a return in the range of 12-15%. 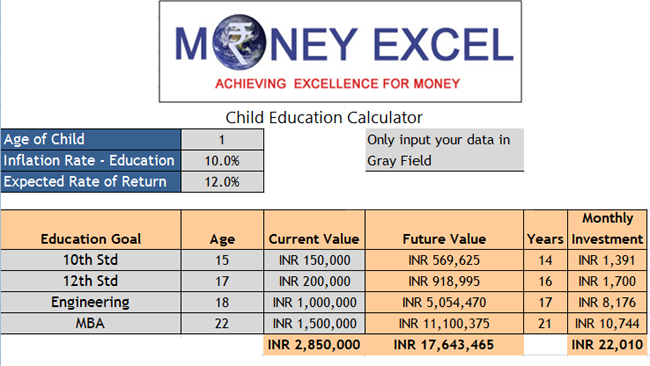 In order to help you out here is simple excel based Child Education Calculator. Hope you find this calculator useful. Do share this calculator with every parent you come across! I was just wondering, which school is selling shoes for 3500 every year to students?? I think, some of the cost is inflated in the excel itself. This cost details are taken from survey of ASSOCHAM Survey. You can place your own value. This is the blog post I was looking for. Thanks for writing and sharing. I was doing some research for child’s education recently. This post has most of data points at same place which I have gathered from many places on internet. Being a parent, child’s education expense is second biggest expense on pocket. We even can not compromise with quality while optimizing these expenses. I am also running a blog on personal finance but this post is too good. I hope to see more post on similar lines in future.